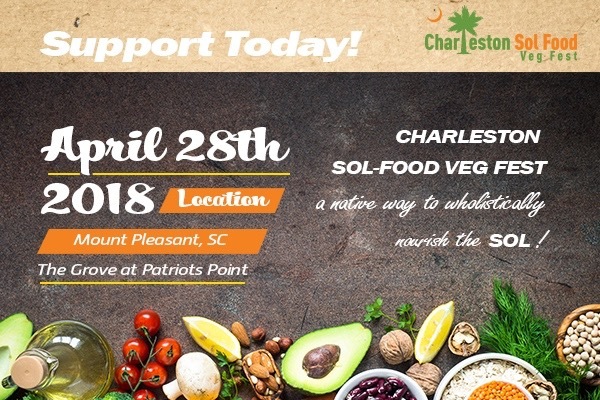 The 1st Annual Charleston Sol-Food Veg Fest will be held in the spring of 2018 from when the sun appears to rise till it begins to set at a beautiful outdoor setting in the Lowcountry. Attendees will enjoy a mind, body and SOL rejuvenation filled with cultural and contemporary entertainment, education and enlightenment. This is a conscious movement centered towards the presence of positive energy, the resonance of live music, empowering lectures, interactive workshops, kid's activities, and a delicious food court all to promote more health awareness in our communities. Through the vegan experience, CSFVegFest will create an exhilarating and enjoyable atmosphere for all ages. We are going to make history. Support this movement by donating to this beautiful cause that is on a mission to inspire us all to "return to our native way of living."